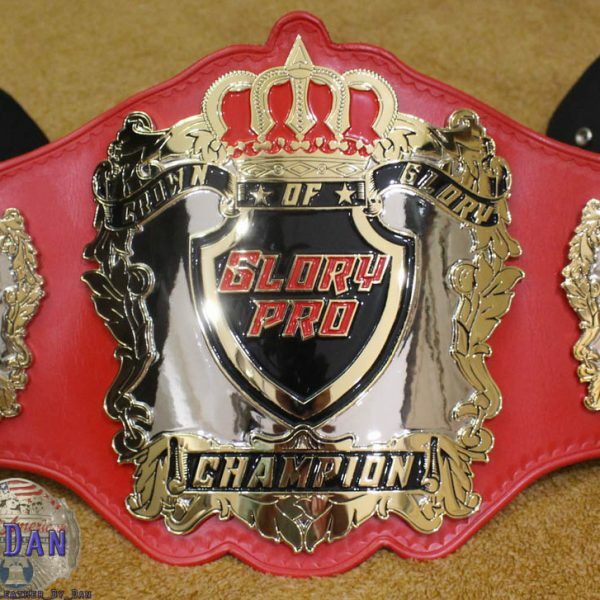 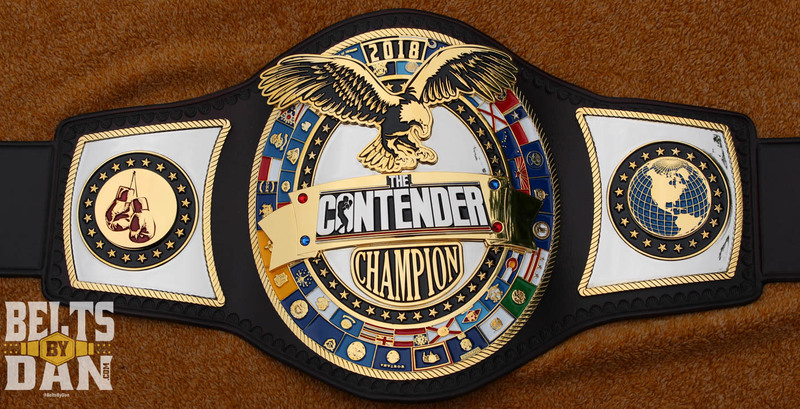 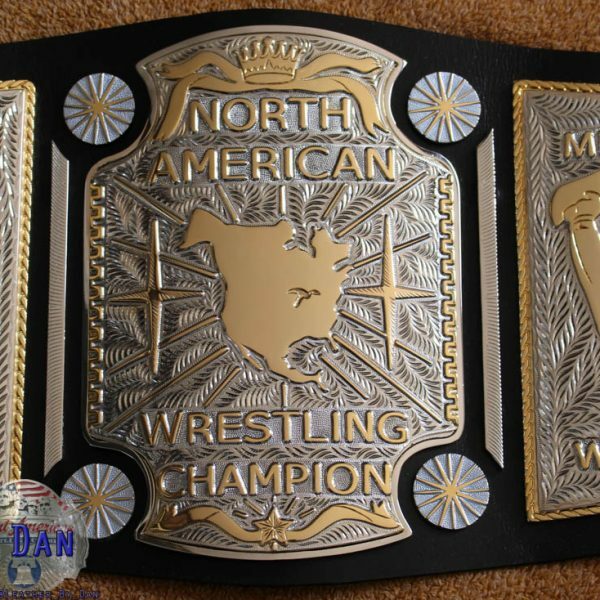 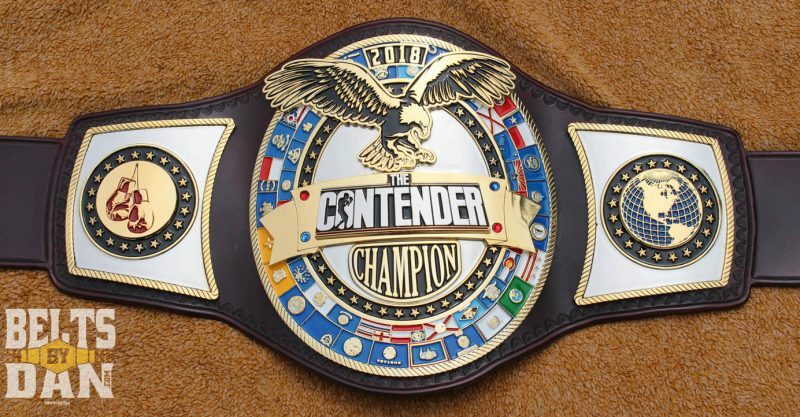 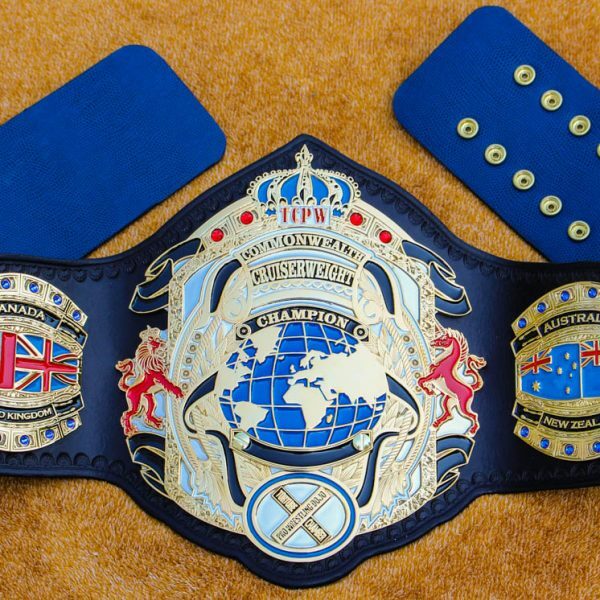 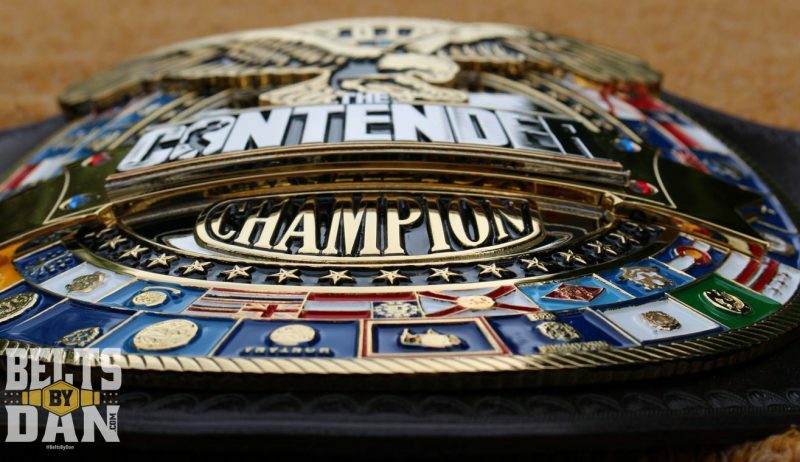 Made for the hit boxing reality series, the 2018 season of “The Contender” on EPIX winner was awarded this championship belt made by Belts by Dan. 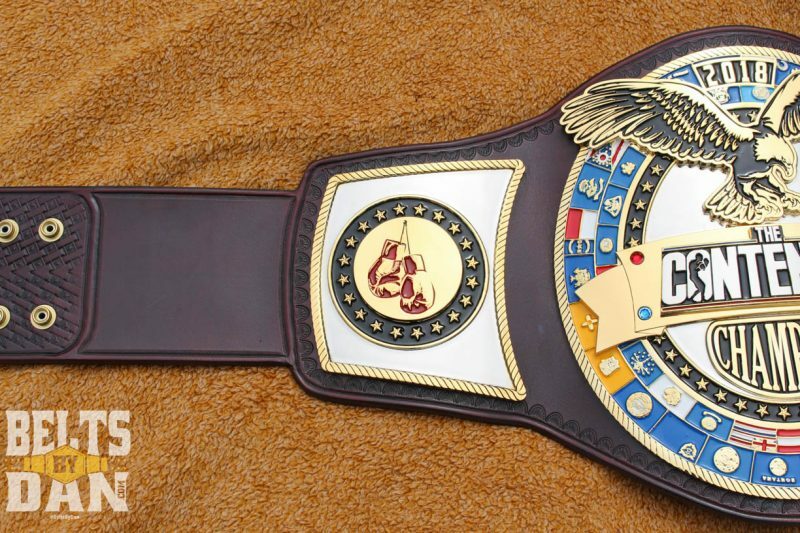 This belt is 3 plates, dual plated on a brown, hand tooled strap with black antiquing. 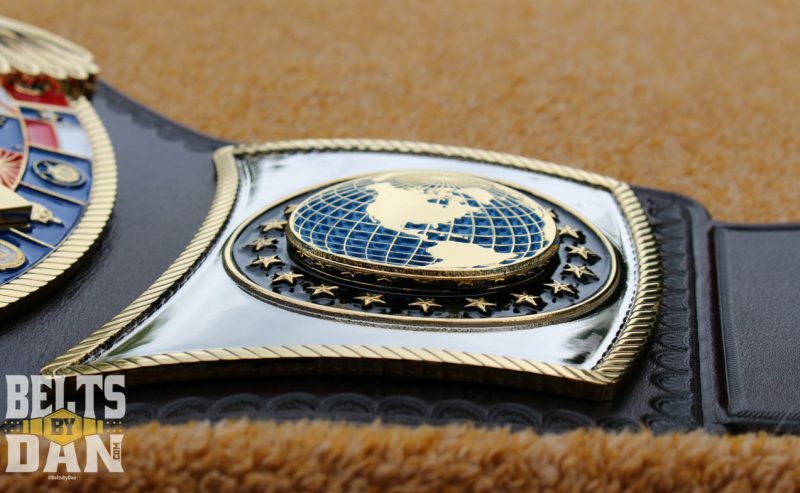 The side plates feature stacked center gloves and globes respectively. 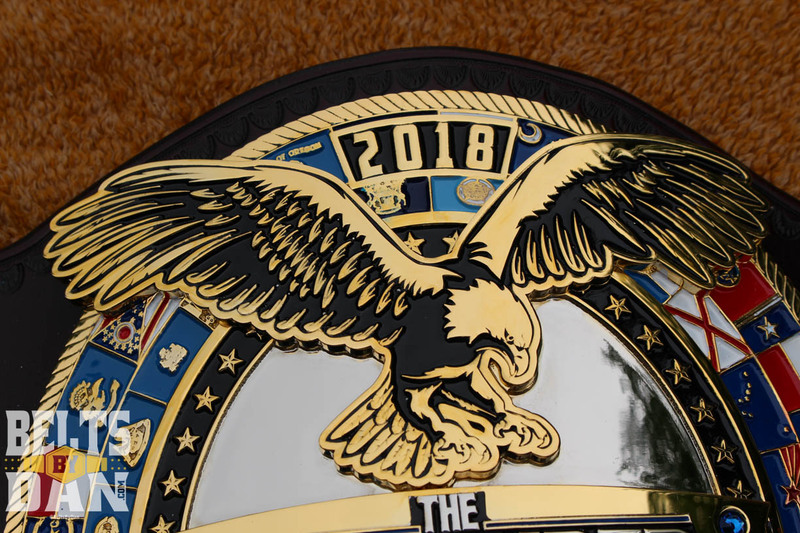 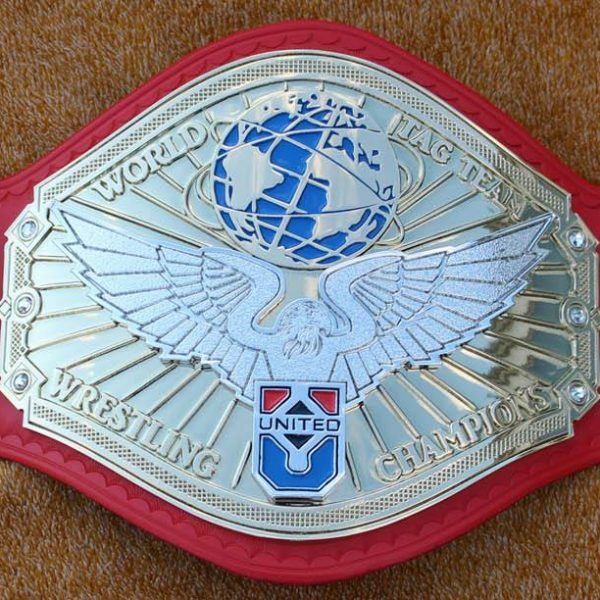 The main plate features 3 layers including the banner, Contender logo and eagle. 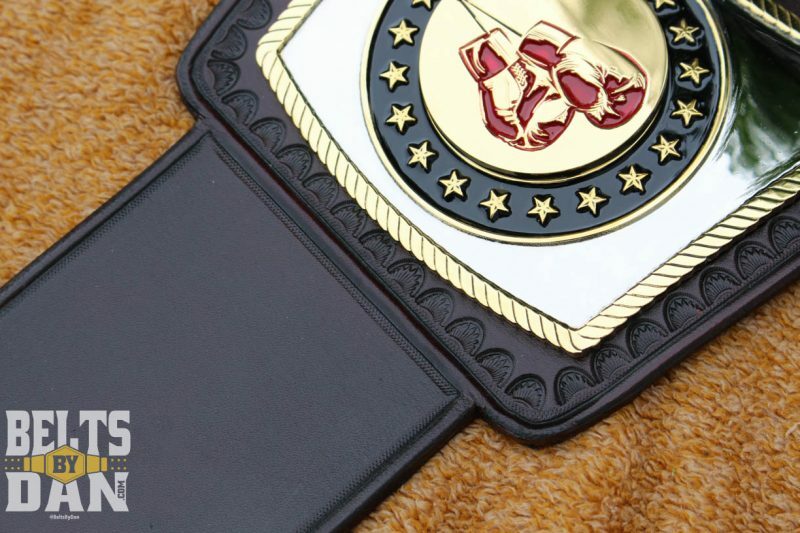 Each of the 50 State flags are represented on the main plate and were painted by hand.